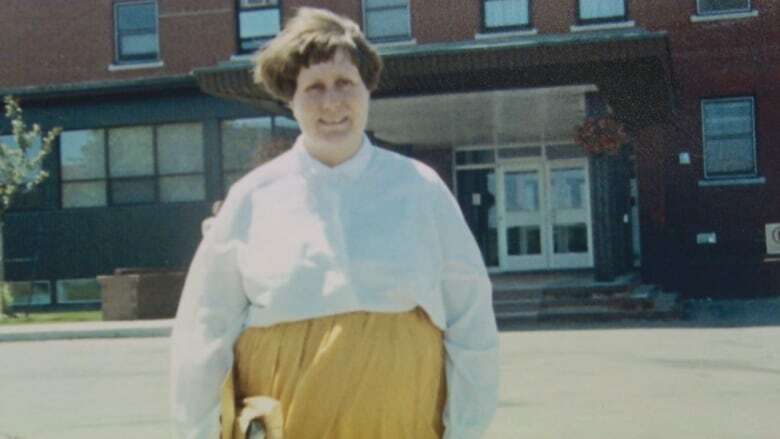 A Moncton man is speaking out after his sister with schizophrenia was left in her apartment for days without her caregivers and deteriorated so much she's now in a catatonic state in hospital. Several care providers usually stop by Lorette's apartment during the week to bring meals, help clean the apartment, help her bathe and ensure she's taking her medication. "It's my sister Lorette who informed me that there were bed bugs in her apartment and also not only in her bed, but she had them on her," Ouellet said. "She would tell me that she's picking away at these bugs on her body and she's putting them in a bottle." But the brother said the apartment wasn't sprayed for two weeks and Lorette was never removed. "It was not sprayed until the 27th of July because of the failure of the Social Development [Department]," he said. Meanwhile, according to Ouellet, the social worker told Lorette's care providers that they could stop visiting Lorette because the apartment was being cleared of bed bugs. "The social worker had notified the employees and they were told, you know, 'You don't need to go in for the care because of the bugs in the apartment,' but he never bothered to inform me or the [Community Mental Health Centre in Moncton]," Ouellet said. Paul Ouellet said it was "most definitely" up to the Department of Social Development to help out his sister. In an email to CBC News, the department said it would not comment on the specifics of any particular case because of privacy concerns but that it takes "the health and safety of all its clients extremely seriously." The email said the department isn't responsible for removing its clients from infested apartments, unless the apartment is owned by the department. Paul Ouellet called a mobile mental health unit after he learned about his sister's deteriorating condition. He said the nurse who went to the apartment and helped bring Lorette to the hospital described her condition as "lamentable." "She was not surviving," he said. "She doesn't want to eat and she's just staring at you constantly — her eyes all glossy," Ouellet said. He said "disturbing" doesn't even begin to describe what's happened to his sister. "It's more than disturbing. It's human life."